My Moto Z-Play Droid is on its last leg, as far as battery life is concerned. 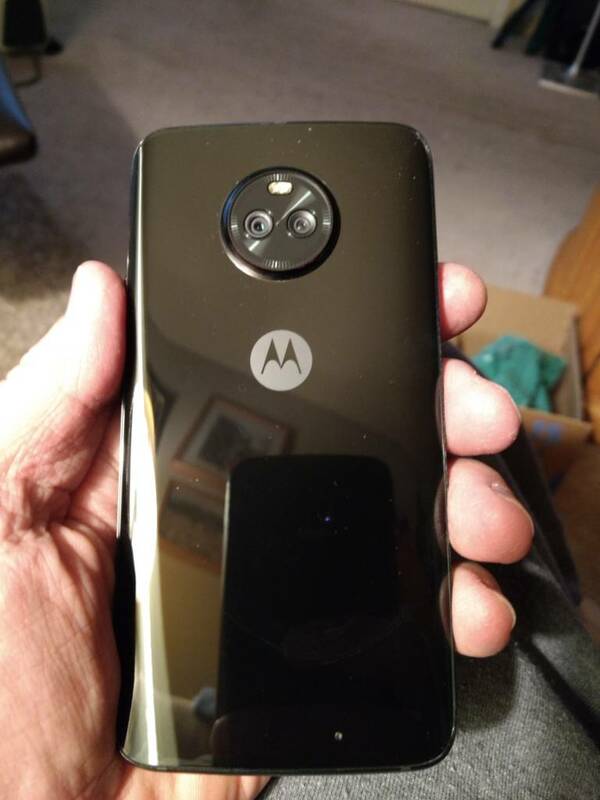 I was going to get a Moto G6 like we did for my wife, but I really enjoy having NFC, which the G6 does not have. So, I just ordered a new X4 for $189 from Walmart. B&H has them on sale too, but not in stock. I'm looking forward to the X4. doctordwaynewilliams and Scott337 like this. That's crazy cheap. Let us know what you think of it! I just got one for $149. But I went to Google Fi. I really like the phone so far. No complaints. I am currently running my 3 year old G4 Plus and planning to upgrade in the near future. Please do share your experience in regards with battery life and heavy application usage (as in a high number of application installations). I haven't seen the X4 in action. Just reviews online, which aren't exactly reliable. My next phone's going to be a Moto as well, (Unless there's another in the similar price range with similarly clean UI, no clutter, fewer mandatory apps etc. ), just a matter of finding the right one. Moto just announced the G7. I was considering that, until I learned that like the G6, no NFC in the US. My X4 from WM arrived, but I'm a bit concerned? Did I not get the latest and greatest version? All I've been reading about has an Android One marking on the back. This one does not. The date on the box is 2018-11-29. I'm fearful to even power it up, if it's not the right one. My intent is to run this on Verizon, by taking my SIM card from my Moto Z Play Droid and putting it in this X4. Yeah. Mine has Android One on the back. So, what does that actually mean that I don't have it? What network you on? The first row of images I see in Google Image Search show no Android One logo on the back of the X4, so it doesn't seem that unusual. Thanks. What I'm trying to understand is that 1) if the Android One X4 works on Verizon and 2) why would someone want a normal X4 on Verizon rather than the Android One version? I don't want to start loading this new X4 only to find out that I really should have gotten the X4 Android One. Thanks. Based on what I've been reading, I think I'm moving forward with the non Android One version. Software updates are not that important to me and I don't care for some of the features lacking in the AO version. That was an interesting read. It's rare that I disagree with so much of an expert reviewers points. But I am definitely not seeing the same things he sees from the Moto X4. Performance has been great for me. And I'm coming from the Note8. It has been nothing less than an enjoyable experience to have the Moto X4. Yeah, I thought the review was unusually negative. Makes me wonder if the they had a faulty unit, or perhaps a pre-production one. Or maybe performance improved significantly with a later update? Well, the install is going well, but I can't believe all these updates that are being applied..... ONE AT A TIME. Tell me about it. I recently got a refurb'd Nexus 5X as a backup phone (for $45!) (hopefully without the added bonus of a bootloop), which came with Nougat. I think it went through about 10 updates to get to current. FYI, I just bought the AndroidOne version of the X4, and it's working on Verizon (prepaid even!) with a simple SIM move out of my E5 Play. It even does VoLTE. I have only had the X4 for a few hours, but I am not seeing any of the problems listed. The phone seems very, very fast to me, with no signs of lagging. doctordwaynewilliams and Mr Smitzy like this. NO lags yet here, but I expect as I add more, it will happen. I'm fine with that. I opted for the standard X4 vs Android One. I'm starting to question all those reviews I read about all-day superb battery life on the X4. I know I'm coming from a Z-Play Droid, but damn. I'm very happy with my X4. Battery definitely gets me by all day sometimes I can charge the next day. I have a little lag here and there but nothing that I'll complain about. I have one little thing where when I finish a call and I go to hit end it doesn't end the call right away. sometimes after a call when the screen is black the phone doesn't come right up I'll actually have to hit the power button and then I can bring the screen back up. honestly for $225 I can deal with that. I have the Android One version 64GB. 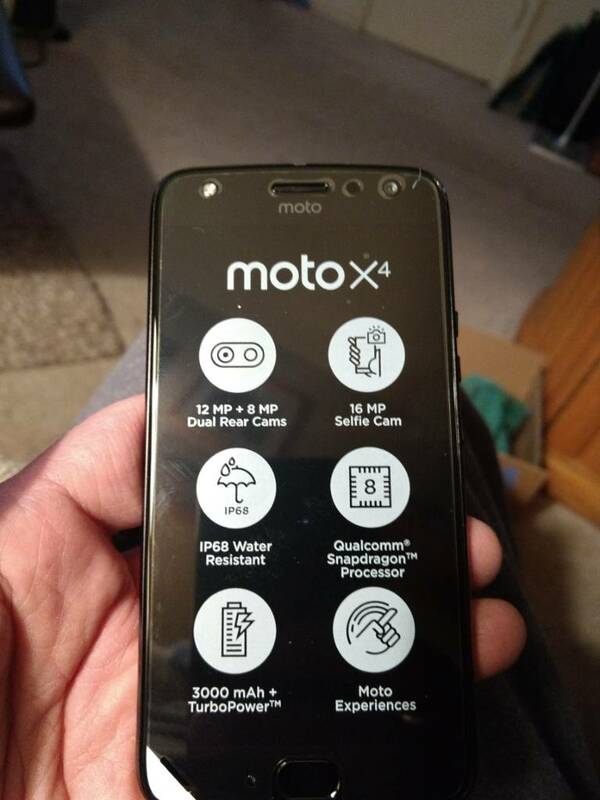 I think Moto has them on sale for two hundred bucks right now and I would recommend one to anyone. I might have a different view, coming from a Moto E5 Play (and a Moto E4 before that), but I am pleased with the X4 battery wise. It seems to drain the battery much slower than my previous phones. Your battery life is bad? That's surprising. I had the Note8 and the battery life on my X4 is better. By the end of the night I'm still around 55 percent. So that's from 7:30am to about 11pm. How to get Rid Of Scam/Inappropriate Website Pop Ups and Banner Ads out of Nowhere.